It seems as if there are only two more episodes of the current series of Downton Abbey to go. Sunday evenings will not be the same after next weekend. I shall have to make conversation or write more. What shall I do? Well for starters I will not be booking a P&O luxury cruise. The amount of adverts in Downton is infuriating and I have got the message a thousand times over that the series is sponsored by P&O Luxury Cruises. Why not jack up the ad rates and sell fewer adverts? The viewing experience is greatly diminished. Anyhow, P&O I have never been on one of your cruises and after this series, I never will. Will the incredibly stupid Earl of Grantham manage to lose a second fortune in the 1929 crash? How long can Maggie Smith continue – given that her character is already 187 years old but she is the star of the show? Since most families of English upper class twits had at least one Moseley/Hitler groupie in the 1930s who is daft enough to go for that? My money has to be on the Earl of Grantham who you really would not want to be part of your pub quiz team. Away from Downton, the mainstay of my 100% non BBC TV diet remains Dallas. An episode with only a brief cameo or two from JR was a shame as he dominates proceedings when he appears. The years and the surgeon’s knife have not been kind to Charlene Tilton (Lucy) or perhaps like her Dad (Gary) she has been doing too much hard living and it has taken its toll. Who is the love-child of Bobby’s new wife? Please let it be Christopher. 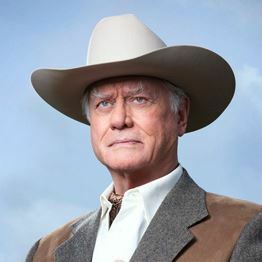 The demise of that mad Venezuelan woman who bedded John Ross is a good thing but I am warming to JR Junior and would hate to see him disappear for a crime he did not commit for the next 20 years until New New Dallas appears in 2030. Finally DCI Banks – the first two part episode is over. I was shocked by the reason for the murder of the DCI’s brother and although the storyline was 100% implausible it kept my attention. The scenery is wonderful and Stephen Tomkinson carries the show. I am not so sure about the stand in Sergeant – she is pretty unlikeable. But overall, there is more than enough to keep watching.